By the time your eyes are passing these few saturated pixels on the screen of your device, there is something that has already read the whole article and defined all the characteristics from the whole page that are of interest, your device. As the number of people browsing the internet is increasing, it is not increasing as quickly as the number of devices, the number of things, which is connecting to the World Wide Web as to exchange data and information required by its programming. This browsing is quite different to human browsing, and it shouldn’t be viewed as such, but would be more common to animals foraging in the wilderness, working more by instinct than by cognitive ability. This analogy would be very beneficial to the future, as we can find many parallels between the animal world and the new world of smart devices, including the risks of toxic habitats, viruses, and malicious people constantly trying to poach prime devices for personal gain. To be able to protect ourselves, our data, and our devices, we will first need to understand the wide range of different connections these devices make to the internet. From your USB stick to a self-driving car, there are different problems with the safety and utility of these things, thus making the solutions vastly different in every occasion. To quote Ziad K. Abdelnour, ’’ We live in an era of smartphones and stupid people”. This is not directly true, as is it proven that newer generations are smarter, more intelligent, and more adaptable than their parents, but it is true that more and more tasks fall to our devices, giving the appearance that human specializations are somehow akin to our stupidity. While a definition of a smart device is somewhat vague, the accepted idea is that these devices are capable of doing things and performing tasks we want, without humans needing to directly instruct them what to do. To take the most basic of smart devices as an example, you want your USB stick to connect as a storage device to your computer without you needing to expressly tell it which port it needs to take, how to connect, and how to communicate with the device you are plugging it in. The built-in modem of the USB does all this without your input, leaving you to just enjoy the content. More advanced hardware and software do much more operations than this, with the smartphone being one of the most common IoT devices most people use every day, which regularly connects to the internet in search of updates, new protocols, new metadata, and app information. In the developed world, most homes are filled with everyday IoT devices that manage the most mundane of tasks, such as the refrigerator, printer, and even the security camera software. What is the Internet of Things? The internet of things, or IoT, is a phenomenon theorized in the late 1990’s and that has more than coming to fruition in the last twenty years. This vast network of devices is a result of an ever more connected world, where everything needs to be constantly updated as to have the best possible features. This concept, of everything having a mind of its own, is not that new, as it has been a staple of dystopian science fiction for quite some time, but it was unimaginable that we as consumers would not only want this kind of artificial intelligence in our homes, but we would demand it as a staple of a good service. We would like for our devices to do as much as possible on their own, leaving us to focus on our own work, or just to enjoy. The risk for our devices connecting to the internet is somewhat similar to the risk we have when doing the same. Some malicious entity, a hacker, an identity thief, and even the government can overtake the device and use it either as a sensor and a data source or as a gateway device from which they can attack other devices in our home, which are all connected through the same IP address. Connecting to the internet over a Virtual Private Network is not the first line of defense for your devices, but it is one of the key components of internet security and modern VPN providers have taken very innovative measures to protect your other devices as much as they protect your computer, phone, or tablet. 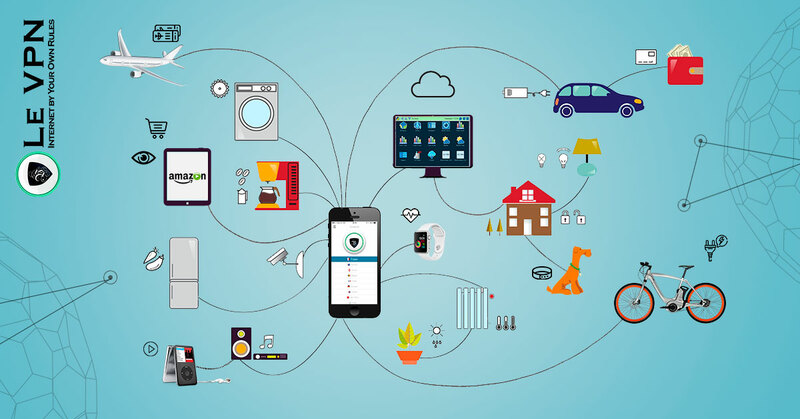 Having your IoT devices connect through the internet removes one of the most basic questions hackers and other malicious entities on the internet pose when they are trying to mess with your device, the question of who. As having a good VPN provides you with complete internet anonymity, most of the data you do use become useless to other people, as they don’t know your identity, your location, and even the data they do have is mushed up with so many other people using the same VPN that the information itself becomes unusable, and thus discarded. Currently, reputable VPN companies, like Le VPN, are providing the most advanced levels of IoT security, giving their customers as much protection as they can without violating their privacy. Different devices have different capabilities and thus is vastly change the nature of their risk while online. There are also different levels of protection we use on our devices, depending on how important their job is to our daily life, but in this aspect humans usually underestimate how much they rely on their dices, and how interconnected the devices in your home are. You might not care that someone can see on which temperature your refrigerator works, but this can be just a stepping stone for some malicious entity to overtake your phone, your laptop, and finally to reach all of your sensitive data. While using sensory devices such are microphones and cameras as to spy on people is not nearly as common as tracking metadata as to gain access to larger systems and personal information, this problem has come into prominence when a scandal broke out in 2013 how the American National Security Agency (NSA) used personal devices to spy on world leaders. This has started a new consciousness about IoT security and the ways we would be able to protect ourselves from anyone who would like to spy on either us or our data. Currently, most advanced smart devices have some sort of protection installed by the manufacturer, but as some more basic devices will not be as safe as your PC or phone, you will need to concern yourself with a couple of additional layers of protection as to ensure that safety and reliability of all your devices. For this, we should run over the types of smart devices and their defenses, focusing mostly on those devices which are the most prevalent in modern homes. This includes the most basic peripheral devices we use in our homes, and especially in our entertainment systems. This includes the aforementioned USP and similar data-stick devices, as well as all connected devices that only communicate with each other about how they should work. While Type I IoT devices are most common, they are rarely connected to the internet, and even when they are, they give very little data about the product and its owner. Devices such as plug & play controllers, data sticks, Bluetooth headphones and similar can very often be a carrier of a virus or a backdoor entry to other devices, which they infect upon contact. This is why you should always keep all of your operating systems, firewalls, and anti-virus software up to date and running, as those will almost always detect the infection on the device and remove it using newer protocols. To understand these devices we would need to go back to the basics and understand the difference between data and information. Data is just a reference point, a sensory input, or a number, and can even be a more complete set that refers to a few things. Data on its own means nothing, and you can even have a whole set of data that would be useless if you don’t know the wider context in which that data is used. Information is when data is used in context and that information can be used to guide actions and infer better judgment. A set of specific data, sorted in the right way, can make valid information that can be used to do something. Computers are very good at exchanging data, and they were good for many years prior to smart devices, but only modern computers are able to exchange information. This process is done in programs similar to a modem, where computers agree on a common language, usually described by the operating system, and then start telling each other about what they are doing and what effects is that having. For IoT applications this will mean processing everything on a global scale of all app users, providing big data for the overseer of the app and the market. This whole process sounds high tech, but in truth, the information these devices are exchanging is quite basic. The problem is that most of these ‘’conversations” are done inside some master device, such as a computer or a smartphone, which creates a vulnerability. Regulating the amount of data exchange, as well as the attributes those exchanges can have will ensure that all the information flowing through your devices is safe, from both corruption, and interference. In the world of ultimate connectedness, it is very important to ensure that your private information remains just that, private. This doesn’t just mean preventing the hacker from stealing your social security number, but also preventing corporation and other authorities from spying on your when you order things online, gauge your AC, or print something wirelessly. To protect your information, you will need to do three things and to see if you can do them again as often as you can. This means keeping your operating system and drivers up to date, having good anti-malware and anti-spyware software, and last but not least, having a good VPN. Once you have all three points covered, and covered with good software, you may be secure in the notion that your information is safe. You must always make sure that the operating system and all of the drivers your devices use are up to date. For most devices, you will do this by default, as they wouldn’t function without the newest driver, but some don’t require the exact latest one, and this is the place where hackers and malware attack. All software has bugs, and this includes operating systems and device drivers. Some corners were cute, some redundancies were not placed and some code is not structured perfectly. After all, all software is done by humans, and humans make mistakes. These holes can be used as backdoors once hackers know they exist but are usually patched long before that. These are fairly similar products, with the main difference being their targets and how they recognize them. For IoT protection, it is much more important to have the latter, as anti-spyware provides real-time monitoring of your internet connection, and prevents malicious software of hurting your IoT device by preventing connectivity with the spyware collector. Having your defense software up to date with the newest information and protocols will ensure that your computer, and all other devices, will recognize threats on time and clean them up before your information gets at risk. Finally, using a VPN connection will be the main deterrent for anyone trying to steal your data. VPN for IoT is a relatively new technology, but one that is being rapidly developed by VPN providers. Le VPN, both as a provider and as an app, has several good solutions to connect all of your home devices through a tunneling process, making all your devices anonymous online. As previously mentions, a VPN doesn’t shield your data as much as it makes it impossible to turn your data into information. Even if you have allowed the website you are visiting to access your web browser and to use your sensors, anyone on the other side will not know from where that request and that data is coming, and anything but manual input will disregard the information. The biggest advantage of a VPN, and especially those with developed IoT projects for defending your mobile devices, is that you are bringing your security wherever you go, and there will be no possibility to garner a malware from an open Wi-Fi network downloading a smartphone app, bringing the malware home to affect other devices. We couldn’t speak about IoT without mentioning much bigger and somewhat futuristic systems that are, and will be, most certainly a part of IoT but are maybe not yet accessible to the general public. One of the main parts here is the IIoT, or the Industrial Internet of Things, which is used by major systems and machines in factories. This aspect of IoT is something that will guide your self-driving cars and the smart cities of the future. We hear a lot about cybercrime and cyberspace, but we rarely understand the devices that make this space possible. The most known example of cyber IoT are cloud services worldwide, where different software confers with other software, either for protection or for information. If you own a small business, this area should be of interest to you, as you will have to use monitoring software and real-time analytics, all of which use cyber level AI to communicate with multiple areas of the system, as to provide you with finished and analyzed information. These are devices that seem like they have some sort of reasoning, and which mostly work on their own. Most safety regulation monitoring systems have this kind of AI and it makes a significant part of large administrator systems, such are those found with governments. While most people will probably not encounter this type of AI, let alone have it in their home, some have already seen the software it makes; such are chat-bots that seem like they are a small child talking to you. To be fair, even if we don’t see them, fire prevention software might just save our life if something goes wrong. This is what most of us would call ‘’True AI’’, a software that is able to solve problems it has not encountered before, using internal logic. While these systems are mostly in their infancy, we wouldn’t want to disrespect them in any way, just to be safe if the robot revolution ever comes. As always, better safe than sorry. In the world of ever connecting devices, we would need to stay vigilant and protect our devices from people who would want to hurt them or use them against us. While it is very strange to speak about your refrigerator as it is a pet, this relationship is true, as our smart devices are as much of service to us as domestic animals were of service to our forefathers, and it is our duty to protect them. 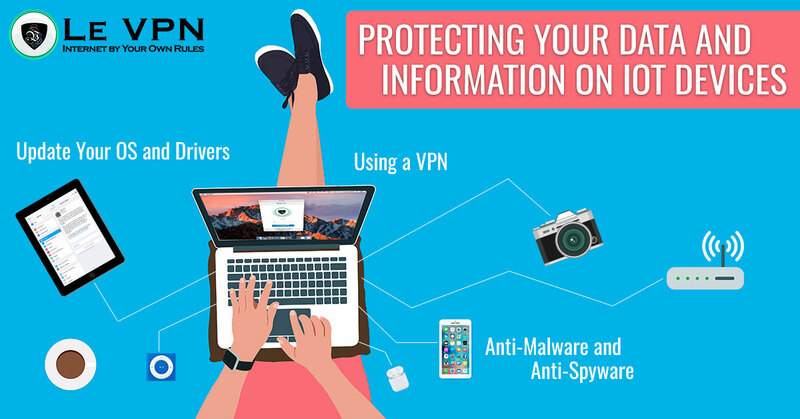 Keep your systems up to date and your VPN connected, and you will be sure that your information will always remain yours to command. Oh this is so helpful, I do agree that VPN apps are so great to use. It really is protecting your privacy, I really love using the VPN thing specially when the VPN free!